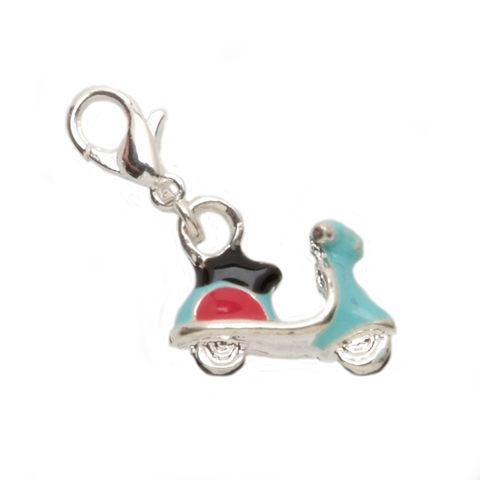 This charm is a perfect fit for bowlers who love scooters... When they're not bowling of course. The lobster style clasp, scooter colored enamel filled charm is metal and measures .375 inches wide and .9375 inches tall.